Flatpack is a 10-day film festival with a wide side program of audiovisual delights. 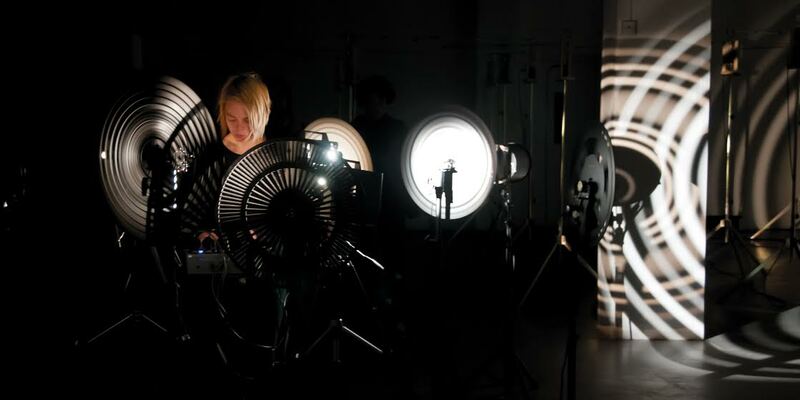 As part of the festival’s Optical Sound program Mariska de Groot will perform Lumisonic Rotera II. 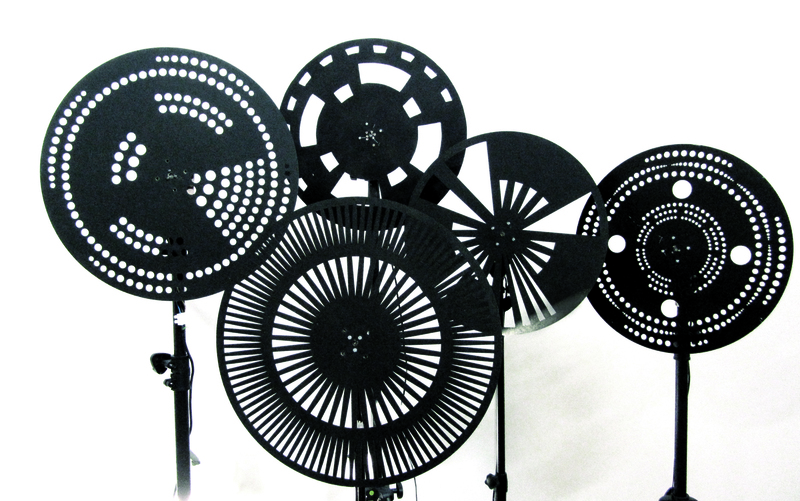 For this particular show, light is projected through spinning wheels which have perforated patterns cut into them. Light filters through the wheels and is picked up by optical sensors and converted into audible frequencies. The beams of light and sound projected into the surrounding space are in a continuously changing composition, flooding over anything in their way.